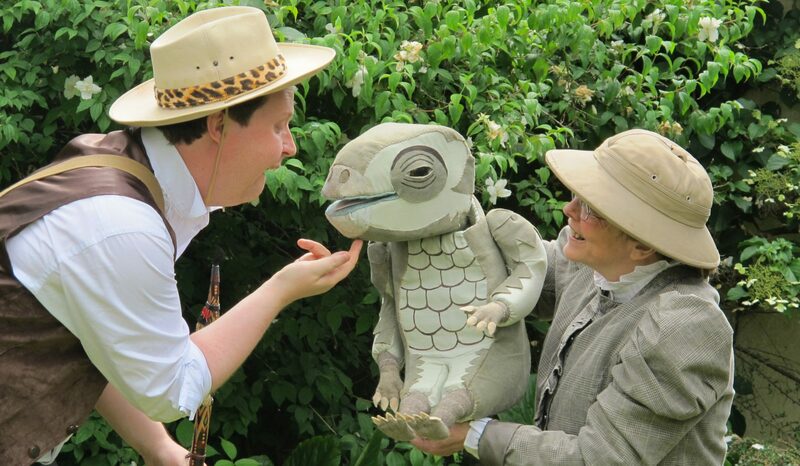 Touchstone puppets – Puppets with real heart! 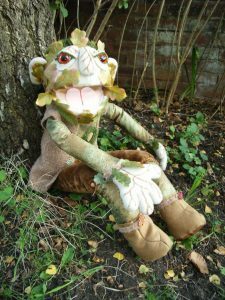 Handcrafted professional puppets by actress and puppeteer Fiona Angwin. Each one is a unique and unusual design, created for professional use or as a collector’s piece – no two are alike. Suitable for professional performance work, or collectors, these are not children’s toys, although older children would love them. However, I don’t recommend them for under fives, due to small parts which could, if force was applied, be pulled off and swallowed! 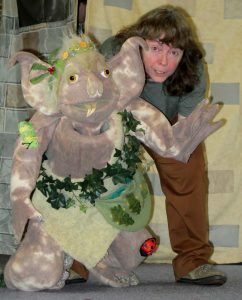 All full-body puppets are of foam construction, making them fairly lightweight. They also have extensive head rotation, without twisting the body, and slots in both wrists to allow the insertion of arm rods in either arm (one rod supplied). The hands are built onto a wire skeleton, so the fingers can be posed. Hearts of Oak – Woodland Creatures and Folklore Creations. Hearts of Stone – Baddies and Villains. Hearts of Gold – Angels, Cupids, Royalty and Jesters. Soft Hearts – Goofy Monsters and Gentle Animals. Whether these hearts are visible at first glance depends on the puppet. In some cases they will be tucked out of sight, but findable on closer inspection. Many of the puppets are very detailed, and their price reflects the cost of the materials involved, even before many hours of loving labour are put into the equation.